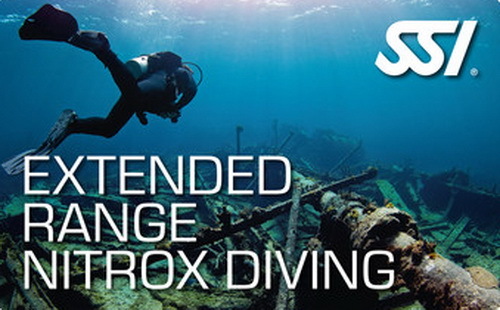 As part of this SSI course, you will learn how to perform limited decompression dives. This applies to Nitrox mixtures of up to 50 percent and depths of up to 40 meters. The theory part of the course you can complete as usual with eLearning! You need a Deep Diving certification. Enriched Air Nitrox 40% certification is also required. You must also be able to prove 24 logged dives.